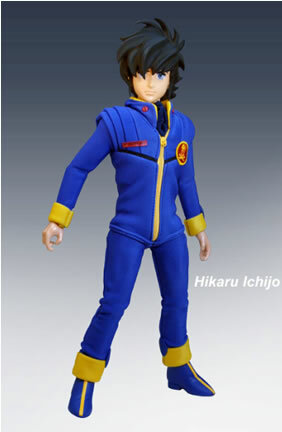 1:6 Pilot Hikaru Ichijo (Rick Hunter in Robotech) figure rendered authentically from Macross the movie, "Do You Remember Love?" The exceptionally detailed real cloth utility uniform is donned on an awesome 23 points of articulation body for superior posability. Comes with collector's insignia patch and dog-tag. Limited to 3,000 units worldwide.